I mentioned it before, but I really think people in general (and even the media) are getting better with the terminology. We just have to get this “Assault Weapon” thing cleared up now because it’s embarrassing. 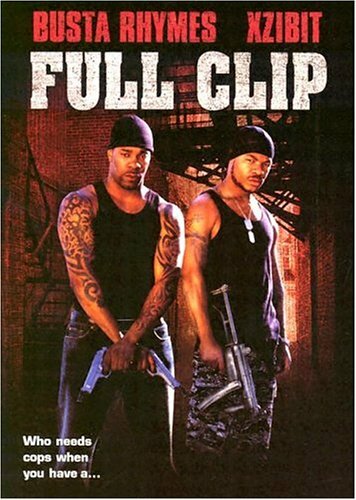 <– Shout out to Busta Rhymes and Xzibit with their related Academy Award caliber movie. With the tagline “Who needs cops when you have a…” LOL. The media isn’t even getting close to understanding gun terminology. On the news this morning on the way to work I heard “high capacity gun clip” “assault clip” and “automatic assault weapon” all used incorrectly. No they aren’t! I just heard on the radio at lunch the term “high capacity bullet clip”. Doesn’t even sound right. How would so many internet experts feel superior if they couldn’t correct folks for missusing those terms? How could they demostrate their vast knowledge? Lol…it’s the blind leading the blind on this issue. Or like a bunch of blind EOD Techs. Or one legged marathon runners…or blind snipers, or food critics with no taste buds, or a dumbass in Mensa, or a liberal gun owner, or an African American KKK member, or a bald hippie, or a vegetarian pork Connoisseur, or an anti gun army, or an invisible aircraft carrier, or a peace loving homicide bomber, or etc…etc…you get it. @Tom “liberal gun owner” is an oxymoron? Sorry chief, some of us don’t vote the way a magical sky fairy tells us to.